Apple is giving away free copies of Pixite's Union iOS photo app, which retails for USD $ 1.99. It is an elegant image blending tool that lets you create superimposed, silhouetted, and double-exposed photos. Open the Apple Store app, tap the Stores tab and scroll to the most bottom and then swipe to the right until you see the Union app icon page. 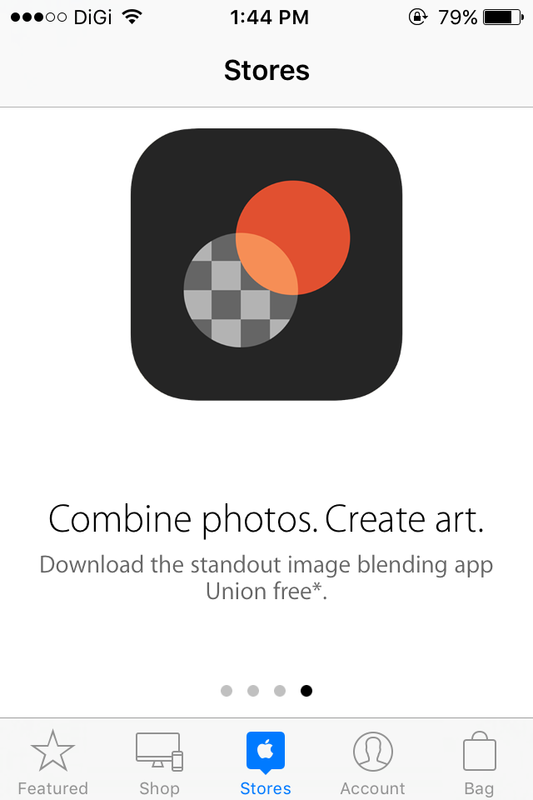 Note: If there is no Union icon, go to the Account tab > Edit country to Australia. 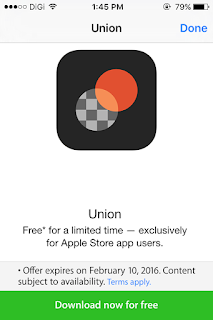 Now you should be able to find free Union app page. Tap on the Union app icon and tap "Download now for free" for free code. 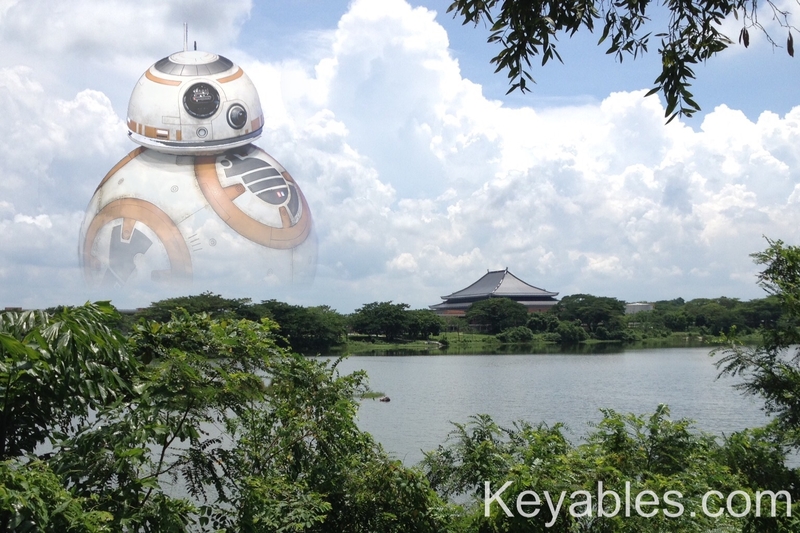 Below is an example picture which I merge BB-8 droid from Star Wars into a scenery view of UTAR Kampar with just a few minutes of editing. Pixite should come up with something like this for the android user too.They also want to avail the chance to get this app for free. Good day! Do you use Twitter? I'd like to follow you if that would be okay. I'm definitely enjoying your blog and look forward to new posts. Continued: How To Lock Files And Influence People.